Hesaru bele usli or green gram dal sundal - The word usli or sundal brings the thought of South Indian breakfast, in the mind of many people. Yes, its true. 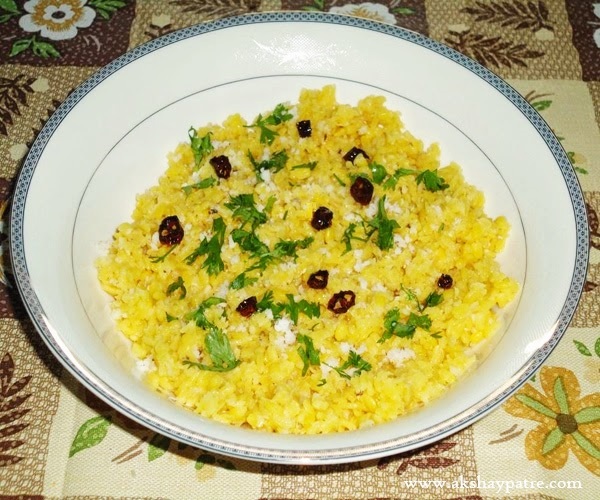 Green gram dal usli is an authentic dish of South Karnataka. 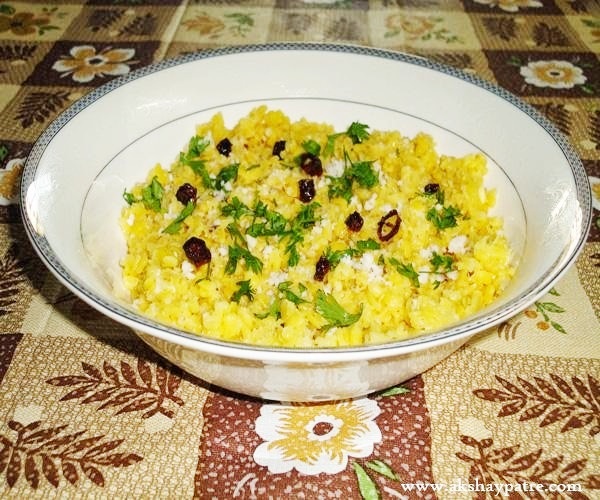 This usli is also known as sundal in Andhra Pradesh. 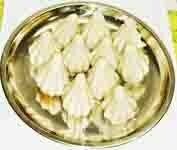 They prepare it for navratri to offer God as Naivedyam. Besides green gram dal, the legumes such as dry white or green peas, brown chick peas or chana and green gram or moong are also used to make such usli for breakfast. I make this usli once in a week. This dish is a protein provider and energy booster as they contain proteins and other nutrients. These uslis are extremely good for health with average taste. If one can think about the qualities of good food and develop the tendency of good eating habit, they may develop interest in eating such authentic, healthy dish. This is a healthy dish with low fat. So health conscious people can prepare and eat it. Heat ghee in a pan. Add green gram dal and fry till the flavour releases. Boil 5-6 cups of water in a deep vessel. Once the water boils, add the green gram dal to it. Then cook it on a medium flame until green gram dals turn soft. Drain and set aside. Heat oil in a frying pan and add mustard seeds, curry leaves and dry red chillies to it. When they crackle nicely and red chillies turn to brown colour, add the cooked green gram dal. Add sugar and salt to it. Mix well and cook covered on low flame, stirring in between for about 2 minutes. Then remove from the flame and add lemon juice, fresh coconut and coriander leaves. Mix gently and serve the green gram dal usli hot with a cup of tea, coffee, hot chocolate, milk, fruit juice or lassi. Beautiful recipe, never heard of this, thanks for sharing, a certain try soon. Upma with moong dal sounds new.. Looks delicious..
Nice one! This is one of my favourite breakfast dish. looks very delicious and tempting! !